Payable on registration and non-refundable. £250 will be credited to the first Term’s fees invoice. A further sum of £250 will be retained as a lifetime subscription to the Reading Blue Coat Foundation. The remaining £500 will be retained in the general funds of the School until the Pupil leaves and will be repaid by means of a credit without interest to the final payment of Fees or other sums due to the School on leaving or unless the Parents wish to donate the remaining amount to the School’s Foundation. Please see the School’s Terms and Conditions for information on how and when the Acceptance Deposit may be refunded. All year groups. Fees include provision of text books up to GCSE, exercise books and facilities for games. Public examinations taken at GCSE and in the Sixth Form. It is the School’s policy to keep fees as low as possible in order to make the benefits of our education accessible to as many children as possible. Bursaries are not linked to ability (other than ability to achieve a place at Reading Blue Coat School). They are means-tested and are awarded by the Bursary Sub-Committee. For full details of Bursaries, please read the Bursaries policy. NB: Students must be formally registered for entry before applying for a Bursary. Application round for bursaries for entry in 2019 is now closed. For further information regarding Bursaries, please contact a member of the Admissions Team by email at admissions@rbcs.org.uk or by telephone on 0118 944 1005. Foundation Scholarships are bursaries worth up to 100% of school fees. These are not linked to ability, other than the ability to achieve a place at Blue Coat. 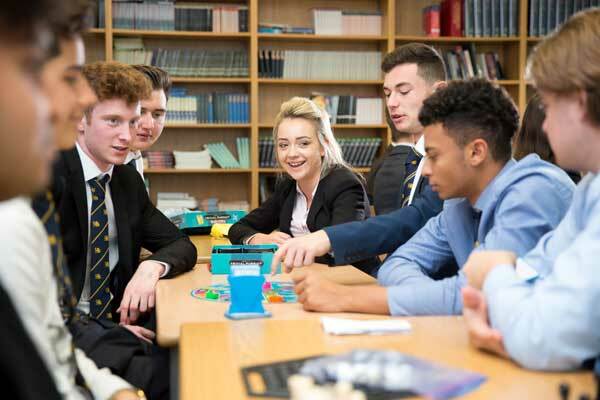 The school offers up to two Foundation Scholarships per year to pupils who would not otherwise be able to enjoy the benefits of a Blue Coat education. For more information, please telephone a member of the Admissions team on 0118 944 1005. 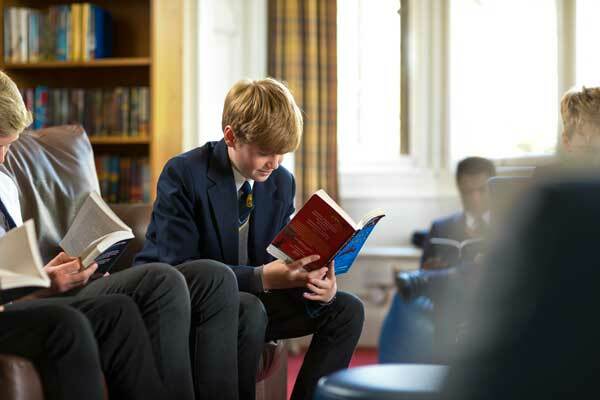 Reading Blue Coat School makes provision for the award of a number of scholarships at the point of entry to the School which are made purely on merit. A number of academic scholarships are available at 11+. The award of these scholarships is dependent on overall strong performance in the 11+ Entrance Assessment. There is no additional Scholarship examination; all pupils sitting the entrance assessments will be considered for academic scholarships based on their performance in these assessments. The value of each award will not exceed 5% of the tuition fee. All pupils who achieve eight grades of A* (or 8/9) at GCSE are awarded the title of Academic Scholar in the Sixth Form. These scholarships are honorary, meaning they do not carry any fee remission, but they may be topped up with means-tested bursaries. Both new joiners of the Sixth Form and Blue Coat boys returning for the Sixth Form are eligible for this award. Awards are dependent on continued commitment to the academic life of the School and may be withdrawn if scholars do not show the requisite level of effort and progress. The academic progress of the Scholars is monitored by the Second Master. Art Scholarships are available at 16+ only and carry a maximum reduction of 5% of the fees. Candidates will need to fulfil the normal entry requirements of the School and will need to attend an additional interview with the Head of Art. Candidates will need to present their Art portfolio at interview. Music scholarships are available at 11+, 13+ and 16+ and carry a maximum reduction of 5% of the fees. Candidates will need to fulfil the normal entry requirements of the School and will need to attend an audition with the Director of Music. Music scholars are expected to play a full part in the musical life of the School and the award may be withdrawn if this is not the case. Musical commitment and progress will be monitored by the Director of Music as well as the Second Master. Candidates for music scholarships who are adjudged at audition not to be of the standard required for a scholarship but who show particular potential on an instrument may be put forward for an instrumental award, which will cover the cost of music lessons on that instrument only. Sport Scholarships are available at 11+ and 16+ and carry a maximum reduction of 5% of the fees. Sport scholars will need to bring excellence and dedication to Reading Blue Coat School through their sport and their contribution to the overall community. The School’s main sports for boys are Athletics, Cricket, Football, Rowing and Rugby and for girls, Athletics, Rowing and Netball. General and specific conditions for scholarships are set out in the Terms and Conditions of each individual award. The Headmaster’s decision with regard to the award of scholarships is final. For further information regarding Scholarships, please contact a member of the Admissions Team by email at admissions@rbcs.org.uk or by telephone on 0118 944 1005.